The idea of zero waste is to refuse what you don’t need, reduce what you do, and reuse, recycle and compost the rest. The concept of zero waste has been around for at least two decades. It’s been the subject of blogs, books, articles, TED Talks, retail strategies, and sanitation department meetings and like most issues touching on the environment, when you dig into the details, it feels both urgent and unattainable. Bay Area author and lifestyle expert Béa Johnson began a zero-waste lifestyle in 2008 and has shared on stage how she and her family of four generate less than a small jar of waste each year through a combination of refusing what you don’t need, reducing what you do, and reusing, recycling and composting the rest. While her efforts might feel extreme—she even looks for apples without plastic stickers on them—her book has been translated into 25 languages, suggesting it’s a goal plenty are striving for. When I lived in California I never went anywhere without my own grocery totes, I cloth diapered my kids, and had a worm bin for scraps, but I never achieved anything close to being waste free and the thought of attempting it in NYC feels downright impossible. But not every New Yorker feels that way. 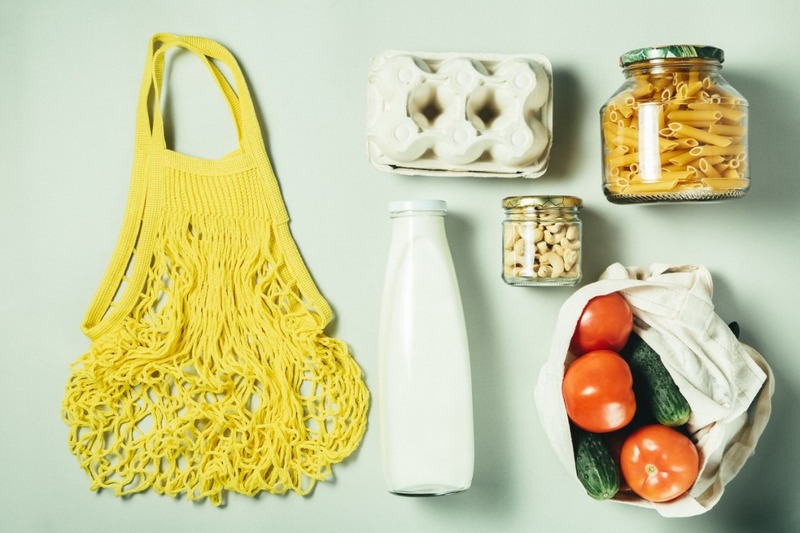 Here are some practical ways you can incorporate zero-waste living into your daily routine. 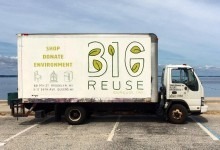 New Yorker Leah Singer, posting on mind body green, says, inspired by Béa Johnson, it took her a year to become a zero-waster and now six years later she’s launched the Williamsburg Package Free Store that’s aiming to reduce waste and find alternatives to single-use plastic products. Other options include shopping at your local farmer's market or buying in bulk. Celia Ristow hosts the site, Litterless, and provides a bulk-buying guide for NYC. Her approach to going waste free is grounded in reality. Kathryn Kellogg blogs at Going Zero Waste and says she lived in a 300-square-foot unit without a washer and dryer and still managed to participate in zero waste. She admits taking public transit two hours to get her zero waste groceries was a pain, but she scheduled it so she only made the trip four times a year to stock up on hard to find basics. She also used a rolling cart which she says doubled as an end table when it wasn't in use. One of the problems of going waste free is it’s hard to compete with the convenience and affordability of single-use, disposable products. Plus, we’re used to getting our groceries delivered. The idea of persuading New Yorkers to take mason jars to the butcher or cheese counter to avoid bringing food wrappers home is like asking us to milk a cow housed in the living room. Haagen-Dazs is among the brands involved in the waste free pilot program. 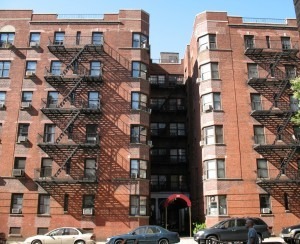 A pilot project coming to NYC this year could help. Loop, is a zero waste delivery option reminiscent of the early- and mid-20th century milk deliveries. 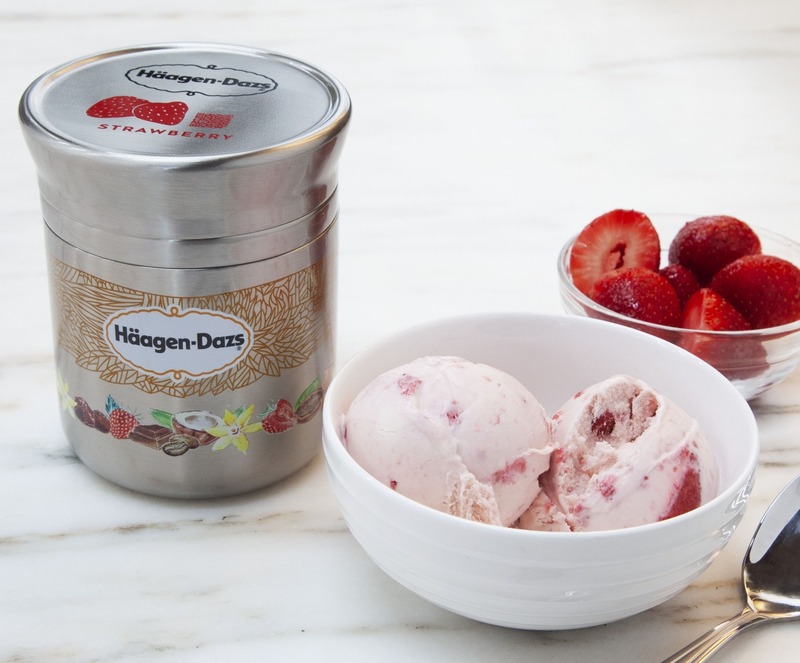 Major companies like Unilever, Nestle, and Proctor & Gamble are on board and will deliver products to your door in reusable packaging—think tiffin jars—in an insulated tote instead of a cardboard box. 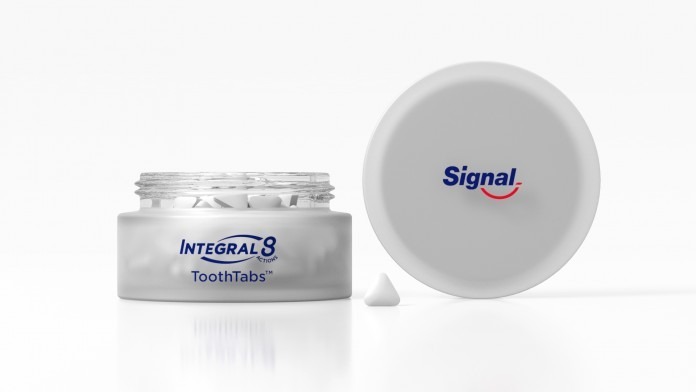 The waste management company TerraCycle, which works to recycle the un-recyclable, is a Loop partner, and CEO Tom Szaky says, “When a consumer returns the packaging, it is refilled, or the content is reused or recycled.” The concept is pushing companies to consider redesigning their products, like toothpaste in a tab (below) rather than an unrecyclable tube. Could this be a new look for toothpaste? Kellogg of Going Zero Waste posted a script that you can use if you want to write to companies about meeting customers halfway when it comes to efforts to reduce waste and packaging. Short on closet space in your NYC apartment? Johnson recommends only shopping for clothes a couple of times a year to avoid compulsive buys. A more realistic option is to be ruthless about fit. “If it fits well, you’re more likely to wear it,” she writes on her 100 tips to reduce household waste. Donating or buying second-hand clothes is another option and a good excuse to browse the city's thrift stores. 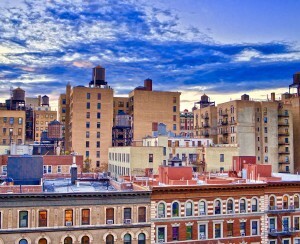 New York City has committed to sending zero waste to landfills by 2030. 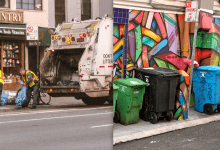 With 11 years to go, New York's Department of Sanitation insists their efforts to reduce, reuse and recycle are working. The city has the nation’s largest composting program—available to more than 3.5 million residents. DSNY also partners with non profits and says donating items to Housing Works or through the city’s donateNYC and GrowNYC swap events can help divert usable items from landfill. New York City’s sustainable food scene includes the creators of rooftop farms, brewers who use bread scraps, and educators who turn trimmings into dinner. Plenty of restaurants are aiming to go waste free in the kitchen, among them, the newly opened Hunky Dory in Brooklyn’s Carroll Gardens. But how to balance the New Yorker’s desire for take-out with going waste free? All eyes are on the Loop pilot program and perhaps, in time, it can translate into a waste-free model for take-out too.